Things may be looking up in the economic news but thinking twice before spending too much money on entertainment is still a good idea. No matter what your budget is, it's possible to have a great time in Detroit and its surrounding areas doing something fun. To help you think outside the box, here is a list of cheap or free things that you and your family can do in Detroit. 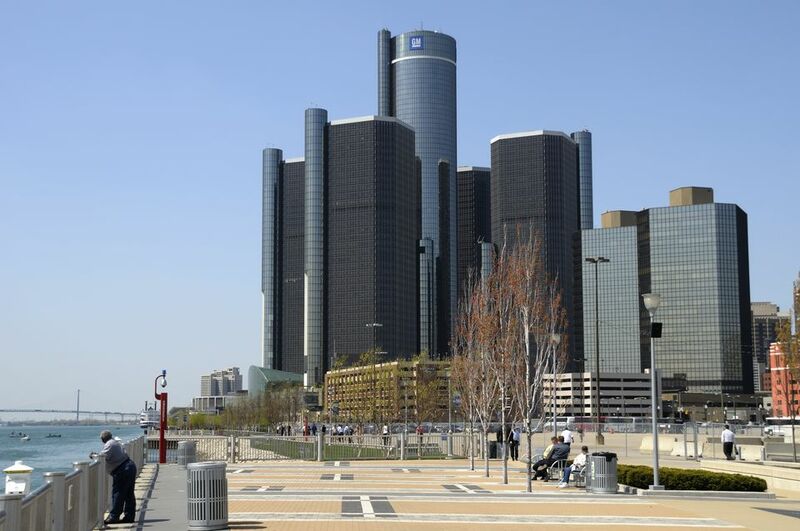 Twenty-eight museums participate in the Detroit Adventure Pass. The program allows you to get as many as four free tickets to a Detroit-area museum by checking in at your local library within seven days of a planned visit. Some of the area's biggest museums do not participate, but several do, including the Detroit Institute of Arts, the Edsel and Eleanor Ford House, the Cranbrook Institute of Science, and the Ford Rouge Factory Tour. While you'll undoubtedly drop a coin or three while wandering among the exhibits, Marvin's Marvelous Mechanical Museum in Farmington Hills requires no admission fee. It is a highly unusual attraction with dozens of historic, coin-operated oddities and side-show exhibits. Detroit, Michigan's largest city, is situated on the Detroit River, which connects Lake Erie and Lake St. Clair, opposite Windsor, Ontario. Downtown Detroit has RiverWalk, a wide, cement pathway for biking, skating, and walking with the Detroit River bordering one side and a greenway on the other. But the real draw is the amazing number of swimming holes and beaches, including the gorgeous, fine-sand kind along the Great Lakes. Either in the city itself or the metropolitan region, there are plenty of parks with rolling lawns of green, forested preserves, and playgrounds. Note that most beaches and parks in the Metro Detroit area require some kind of vehicle-entry permit. Michigan as a whole is blessed with great sandy beaches and grassy dunes, thanks to its geographic location bordering four Great Lakes, from east to west: Lake Erie, Lake Huron, Lake Michigan, and Lake Superior. In the Metro Detroit area, if you want to stop and smell the roses or take a hike through the woods à la Thoreau, there are several parks, nature areas and gardens to choose from—all free. Many local airports, such as Mettetal Airport in Canton, have picnic benches set up for a bring-your-own lunch and a great view of small planes taking off and landing. It is also possible for kids to get a free airplane ride; ask at the airport office. Whatever your pleasure—cars, teddy bears, chocolate—there is probably a factory in the Detroit area that produces it. Several factories give free guided tours that are absolutely fascinating. You might enjoy: Chelsea Teddy Bear Company, Morley Candy Makers and Sanders Candy Factory, and the Ford Rouge Factory Tour, where the Ford F-150 truck is assembled. No matter the season or month, there are plenty of festivals and fairs in the Metro Detroit area. While some require an admission fee, many are free. Just show up and partake at ice festivals in Frankenmuth, Plymouth, and Rochester; holiday parades in downtown Detroit; and art fairs throughout the Metro Detroit area. Some free favorites: GM River Days; Pontiac's Arts, Beats & Eats; and the Woodward Dream Cruise. Michigan in general and the Detroit area, in particular, have some of the nation's best shopping malls. Despite the majestic use of marble, soaring skylights, occasional concerts and innovative play areas, there is no admission fee to take a stroll or sit a spell at any Detroit-area shopping center. What's more, the malls also provide a place to take a break from Michigan's volatile weather. Whether you take a walk through downtown Detroit or travel to one of its surrounding suburbs, you can discover public art by renowned artists and classic examples of Art Deco and Italian Renaissance architecture. Downtown Detroit: A walk through the city will bring you up close and personal with several famous statues, including the Spirit of Detroit and the 24-foot bronze arm by Robert Graham that was meant as a monument to boxer Joe Louis. Detroit is also home to notable native architects Albert Kahn, Wirt Rowland, and Louis Kamper, and their buildings. The University of Michigan: This monument to higher education is a treasure trove of public art, among the works: The Wave by Maya Lin, the artist who designed the Vietnam War Memorial in Washington, DC. The University of Michigan's Sailing Club gives you the chance to try sailing and take a few lessons for free. On Saturday mornings, the sailing club, located on Baseline Lake in Dexter, allows visitors to simply sign up for a free sailing lesson (or two) with a club member. Geocaching is a relatively new sport that involves finding a hidden cache, which can range in size from a film canister to a peanut butter jar. The idea is to find the object by plugging its coordinates into a handheld Global Positioning System (GPS) device. The best part is finding caches hidden in nature areas, parks, and cemeteries. That’s because the game is not all about finding the treasure; the journey is half the fun because you'll be exploring new neighborhoods and ​natural areas throughout the Metro Detroit area as you hunt.